Sign by Nov. 15: Keep GMOs Out of Organic! The Organic Trade Association (OTA)—that “organic” Big Food front group that sold out the GMO labeling movement—is at it again. Last week, our allies at Food Democracy NOW! broke the news that OTA board member Melody Meyer, who represents UNFI, the largest U.S. distributor of natural and organic products, is pushing for gene editing, a dangerous new form of genetic engineering, to be allowed in organic. Consumers have always been able to count on the fact that if a product is certified organic, it’s GMO-free. That’s because GMOs are not allowed in organic. At least they haven’t been, so far. 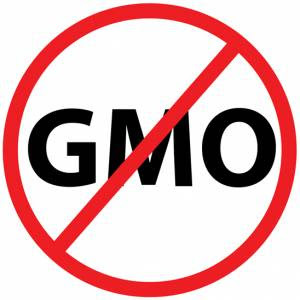 But now the OTA wants to use the loopholes and exemptions written into the DARK Act to force the National Organic Standards Board (NOSB) to allow certain types of genetic engineering, some of which are referred to as GMO 2.0, to be allowed in organic. Unfortunately, OTA’s membership no longer consists exclusively of organic farmers and producers of organic-only products. Instead, many of OTA’s leaders also hold leadership positions in Big Food companies. These companies do own and sell popular organic brands, which allows them to sit on the board of OTA—but they make most of their profits from selling junk food containing unlabeled GMOs. That’s why the OTA supported the DARK Act, the bill passed by Congress and signed by the President this summer that stopped states from labeling GMOs and created a federal GMO “labeling” scheme that won’t actually label any GMOs. Now the OTA wants to use that same piece of legislation to sneak genetic engineering technologies into organic. There’s a provision in the DARK Act that allows the Agriculture Secretary to “establish consistency” between the DARK Act and the organic regulations. Because the DARK Act definition of GMOs is so narrow and so riddled with exemptions, this means the floodgates are open to all kinds of GMOs in organic. Later this month, the National Organic Standards Board (NOSB) will decide on what to do to keep new GMO techniques like gene editing out of organic. Meyer and the OTA are working behind the scenes to make sure that this effort is unsuccessful. We neet to let the NOSB know that consumers don’t support OTA’s efforts to slip GMOs into organic. PLEASE TAKE ACTION BEFORE NOV. 15: Tell the National Organic Standards Board to keep genetically modified organisms out of certified ‘USDA organic’ food. This entry was posted on Thursday, November 10th, 2016 at 12:40 pm	and is filed under Uncategorized. You can follow any responses to this entry through the RSS 2.0 feed. You can skip to the end and leave a response. Pinging is currently not allowed.